Well this was the press release that I prepared for the media. It was a classic case of “Veni, vidi, vici” which translated from Latin means “I came, I saw, I conquered”. 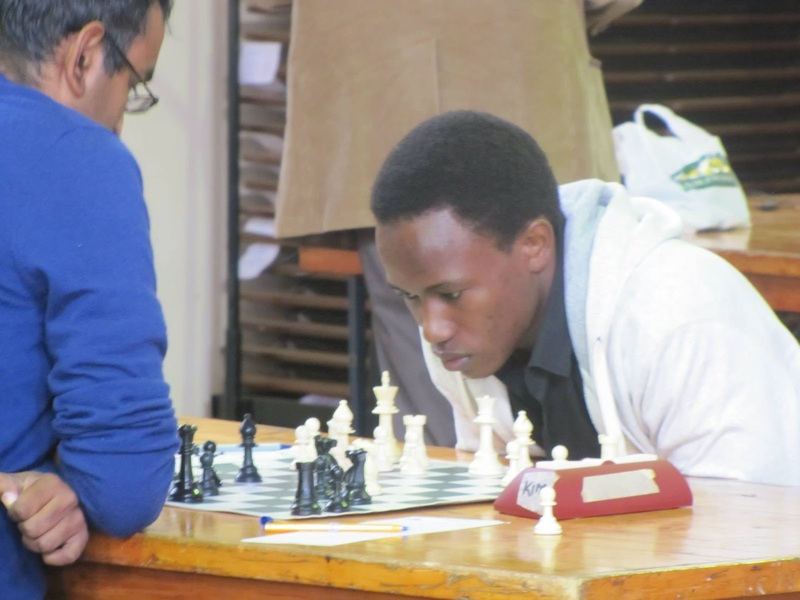 Patrick Kawuma from Uganda did that in great style in winning the 55th Nairobi Chess Club Championship which was held last weekend. Patrick won the event with 5.5/6 and on his way to victory beat Amit Dodhia, George Ochieng, George Nderitu, Brian Taboso, fellow compatriot Harold Wanyama and in the last round he drew with Ricky Sang. His victory earned him a respectably KShs 20,000 in an event that was sponsored by ARM Engineering amongst other supporters and which had a prize fund of KShs 67,500. The event attracted 64 players and included big names like the current Kenya National Champion Ben Magana, veteran Olympian player John Magana, Ken Omolo, SOYA Award Winner Sharanya Iyengar. This event had Adia Onyango who resides in the USA and who won the Ladies category to pocket KShs 5,000. Two Ugandans Harold Wanyama and Bob Bibasa who have represented Uganda at various international events were also present. Behind Patrick were Harold Wanyama, Mowlid Daud, Ricky Sang & Ken Omolo who each won KShs 7,400 to take position 2 to 5. Adia Onyango won the ladies with SOYA Award winner Sharanya Iyengar taking 2nd slot and Sanjana Deshpande taking the 3rd place in the Ladies category. 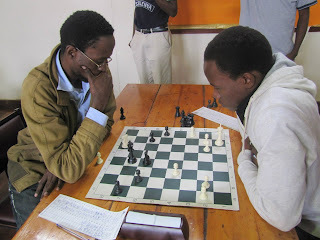 Previous articleHurricane Kasparov Hits Nairobi!